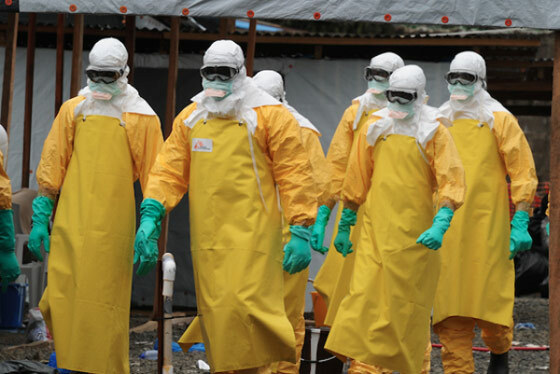 There has been a “significant increase” in Ebola infections there over the past three weeks, with a total of 25 confirmed cases thus far, according to Thursday’s bulletin from the country’s health ministry. ABC News reported that the virus has now spread to a major city, Butembo, which is home to almost 1 million people. Butembo is also a key trading and transport hub with links to other major cities in the country as well as to the neighboring country, Uganda. It’s about two times the size of the city of Beni, the outbreak’s epicenter, and is located just 35 miles away. The health ministry said the “high density and mobility” of Butembo’s population presents new challenges to containment efforts, already complicated by sporadic rebel attacks on remote villages in and around Beni. This is the 10th outbreak and the worst the country has seen since 1976, the year that scientists first identified the deadly virus near the eponymous Ebola River. Ebola is endemic to the DRC. “No other epidemic in the world has been as complex as the one we are currently experiencing,” the Democratic Republic of the Congo’s health minister, Dr. Oly Ilunga Kalenga, said in a statement last month. The World Health Organization received approval to administer an experimental Ebola vaccine, using a “ring vaccination” approach, around the epicenter of the current outbreak. More than 40,000 people, including health workers and children, have been vaccinated in the outbreak zone since August 8, according to the country’s health ministry. The vaccine, which was developed by embattled American pharmaceutical company Merck, has proven effective (according to government science and the manufacturer of the vaccine) against the country’s previous outbreak in the western province of Equateur. The number of Ebola cases in the current outbreak would probably have already surpassed 10,000 if it weren’t for the vaccination teams, the ministry claimed on Thursday, according to further reporting by ABC News.